Weekly genetics review: How are emerging breeds moving to meet producer expectations? THE drive to increase market share, and maintaining a point of difference are two common messages to emerge when talking with bull breeders outside of the major breeds. In the past few months, I’ve been talking to breeders about their plans and the direction of their breeds will be taking in coming years. For beef breeds with small populations, or those that are attempting to increase their herd numbers, there are several similar challenges. The first is to retain clients who may be considering using alternative breeds in place of their own. The second is to grow demand for the bulls into a market that is already very competitive. Most breeders recognise they may not be able to match the marketing spend of the bigger breeds. So their focus is moving towards providing potential clients with bulls that will meet their expectations. The challenge is proving the ability of bulls to perform and to provide that information. While BreedPlan is one key tool for several breeds, there are other approaches. Three years ago, several Red Poll breeders established a progeny-testing group to start recording the performance of several Red Poll bulls through to slaughter and carcase data. Quirindi’s Prue Lee of Omega3 Red Polls describes the process as ‘early days’, but she said it was important to capture data on how Red Polls grow and finish in modern commercial conditions. Mrs Lee highlighted the need for more data to be collected and made available for potential clients. 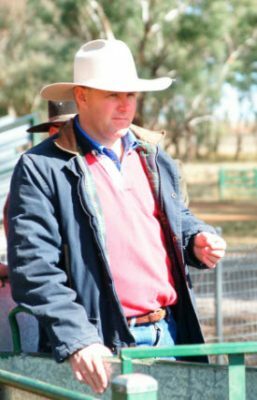 Increasingly, clients are looking for information on a range of traits, and although show ring and competition success may offer good publicity, clients want to know about genetic improvement for their herds. To be relevant, she feels the breed will need to become more proactive in collecting and recoding data and hopes that the progeny testing along with BreedPlan will help maintain or increase the uptake of genetics into the wider beef industry. For Speckle Park cattle – another emerging breed – the uptake of genetics has been significant. As one of the newer breeds to enter the Australian industry, the breeds’ numbers have grown rapidly. Initially seen as a novelty, Speckle Park has consolidated to become a viable source of genetics for producers across all states. The challenges faced for Speckle Park cattle are similar in many ways to other smaller and emerging breeds. 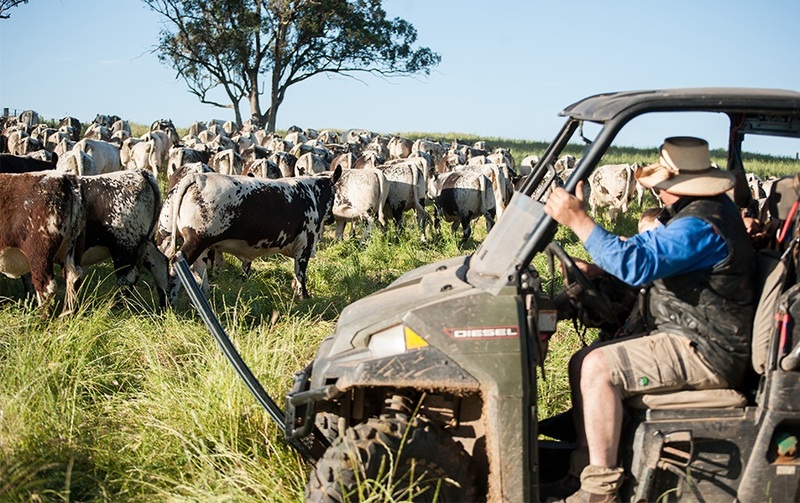 Dale Humphries, President of Speckle Park International describes the past ten years as being a process of proving the breed’s capability to the industry. “When the breed was first introduced, people saw the cattle as fitting into the boutique category,” he said. “We really had to demonstrate the breed’s credentials as a commercially viable option for producers,” he said. As with Red Polls, success in competition and show rings allows producers an opportunity to observe the performance of the Speckle Park cattle. However making a decision to adopt those genetics into a herd requires more information. Speckle Park cattle now have Group BreedPlan, while the longer-term goal is to increase uptake across the breed. Justin Dickens of JAD Speckle Park, described the importance of data in his program as a crucial factor. “Younger producers, and those with backgrounds in business outside agriculture are more demanding of data, and so we can’t rely only on visual observations,” he said. In referring to his first sale held on Friday (total clearance of 28 bulls averaging $11,214 – refer to Genetics Central’s recently completed sales summary), Justin said the bulls that were in strongest demand were those with data behind them. BreedPlan is seen as an important starting point for many smaller breeds to offer data that can support client-purchasing decisions. While the demand for data is recongised, not all breeders have yet taken on recording data or contributing to the BreedPlan runs. Several Devon breeders described this as a point of friction and part of a broader challenge of marketing Devon cattle to the industry. The broader challenge for several emerging breeds is not data collection, but in developing a strategy for breed direction. It was suggested by one breeder that for Devons, their direction will be influenced by international trends where the momentum is for more moderate maturity cattle that can be finished on grass at lighter weights. This is likely to see Devon breeders making attempts to attract clients as individuals, rather than as a consolidated breed effort. For producers looking at emerging breeds, the trend to collect data, and prove performance by smaller breeds is a positive development. It will provide greater choice for producers seeking information on traits of importance. It also means over time less reliance on individual animal performance and visual observation alone. Interesting article and likely very accurate about the state of “emerging” breeds. Still…….all the slight variations of data to producers is pretty much a waste. I say this because until producers rethink the selection, management and most importantly GOALS/MEASUREMENTS……..they will just flounder around with low profitability. If you desire more profitability it is critical to change your mind set from profit per animal to profit per unit of land. Once you do that……..you will become open to learning techniques, strategies and YES……the right adapted genetics….that will allow you to make more money.